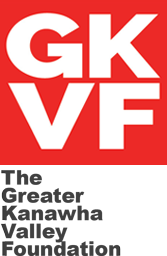 Charleston, WV- The Greater Kanawha Valley Foundation in conjunction with BB&T awarded four Community Economic Development (CED) Mini-Grants totaling $8.000. Each of the $2,000 grants were awarded through a competitive process made available to attendees of the two-day Economic Development for Local Leaders trainingheld in May 2017. Through the training conducted by The International Economic Development Council (IEDC), non-profit leaders learned of key topics that comprise the system of economic development. They also learned how to think strategically about their economy and future; the importance of entrepreneurship and small business; and why economic resilience matters.  CED is defined as the actions taken by an organization or group of organizations representing an urban neighborhood or rural community in order to improve the economic situation, enhance the community quality of life, and increase the residents’ discretionary income and wealth. Charleston Area Alliance will be hosting a Business Appreciation Week that would implement a blitz of business retention and appreciation visits to approximately fifty businesses throughout the city of Charleston. Teams will be trained in how to conduct a business retention and appreciation visit and the businesses will be selected with a special effort to include businesses located in low-income neighborhoods. The Fayette County Commission will assist with the implementation of a Mount Hope Historic Walking Tour. This tour will create economic opportunities for the area by celebrating the unique cultural heritage and history of the community. Also, supporting local artists and creating public art, highlighting the unique quality of the downtown historic district in order to attract private investment for historic preservation and mixed-use redevelopment, and increase visitation and capitalize on Mount Hope’s location as a gateway community to the New River Gorge National River. The National Coal Heritage Area Authority will use funding for enhancements such as picnic tables, waste receptacles, benches, landscaping, and signage to a water access point in West Hamlin, Lincoln County to the Guyandotte Water Trail. These improvements will bring people and increased business to the area. The Kanawha County Commission is constructing a handicap accessible fishing pier utilizing one of the community’s assets, the Elk River. This pier will be located behind the Old Clendenin Middle School, and will be used for fishing and other recreational opportunities, such as a possible location for square dances, pop up art bazaars, and wedding receptions.